Now that the March for Our Lives is over, one wonders what will happen to the coverage of these students, safety in our schools more broadly and guns in general. It is over a month since the massacre at Marjory Stoneman Douglas High School in Parkland, Florida. But the media’s interest is already waning. In my local newspaper the Houston Chronicle the student walkout was front page. But the day before an article that a student walkout was planned was on page 17, and there was almost no mention of the student walkout up to that point. Television media barely covered the student walkout and barely mention it before the walkout. Cable news, network news and newspapers, with time, have covered Parkland less and less. Yes, Florida has passed new laws, but a very moderate response compared to what happened. And Washington has not even debated what could be done and really doesn’t plan to. It seems that even in this case, with students speaking out and fourteen young people dead, we are going back to the same old playbook: say how sorry you are, talk about some things you might do, say you want to wait until the grieving is over, wait it out, and then do nothing. But there is another way—one in which we meet these problems and the complicated potential solutions to them. What am I looking for? A nationwide debate led by the media to keep children’s safety in their schools front and center. To me, what would be an ideal outcome is that this dialog would culminate in an organization like MADD (Mothers Against Drunk Driving) that has a single focus, keeping our children safe in their schools. But, it took well over a decade before MADD had any effect on drunk driving. From my perspective, if we’re going to get a faster solution, which we need, the media needs to shine a very bright light on what is being done and not done and keep the national debate front and center and not let the latest news story detract from this focus. Since Parkland, I’ve listened to the same old ideas from Republicans and Democrats with nothing being done. For instance, there is nothing being done on comprehensive background checks, as Senator Cornyn’s bill, which was tacked onto the recently passed budget, does almost nothing (and a debate on gun deaths in our schools is not even on the Senate’s schedule before or after recess). Same old playbook: wait out the initial media barrage and then do nothing. Meanwhile, making our schools fortresses is going nowhere since it takes a significant increase in school budgets, and school budgets are under attack. Arming teachers also takes a significant amount of money since comprehensive combat training is required and large a number of students, parents and schools do not want it. And banning bump stocks, large capacity magazines and assault rifles is not even being really discussed due to the NRAs objections and lack of Presidential support. Last April 2017, at the NRA's annual convention President Trump said: “You came through big for me, and I am going to come through for you. The eight-year assault on your Second Amendment freedoms has come to a crashing end.” And the President has not changed this sentiment. The television media stops the 24x7 blitz followed by radio silence about shootings This current approach allows politicians to wait out the ininitial barrage using phrases like “we have to allow the victims to grieve before we do anything” or “we don’t have the votes”. You saw what happened after Las Vegas…Nothing. 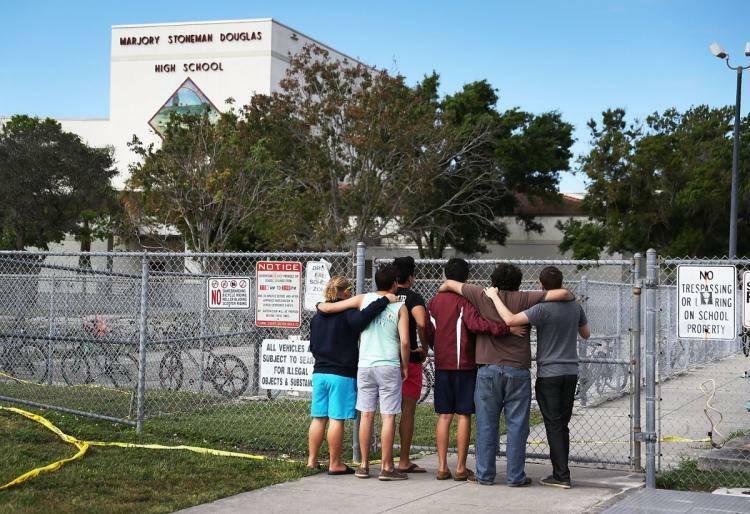 And now the replay, Parkland…wait it out and do nothing. The media should obviously give a large amount of attention to massacres such as Parkland but not the all or nothing that they do know. There is other news in the world, and 24x7 leads to saturation, people stop listening. Coverage should quickly taper off to a daily focused 5 to 10 minutes on every news show, and every segment for the 2 and 3 hour shows, and highlight what has been done or not done. Yes, daily to keep everyone aware that this has not gone away and is important. For newspapers it would be different. Maybe a box score on the front page that highlights what has been done or not done. This would be similar for the news feeds such as Facebook, Google, Microsoft and the like. A daily box score in a prominent place as you sign on. Would this help? I’m not sure but it would be something positive and tangible that would shine a constant light on what parents care most about, the safety of their children. It would keep the focus on the simple fact that right now no school is immune from these massacres, and we have no real way of figuring out who the next shooter will be. I remember an evening television news program that my parents watched when I was young. At the end of every show the anchor would ask “Are your children safe tonight?” Reader, let me ask you, are your children safe in their school?